I decided to go with the Ram Mount system for the iPad Mini Mount because it allows me to easily move the cradle between different vehicles. I have a Lifeproof case on my iPad so I used the Lifeproof cradle. 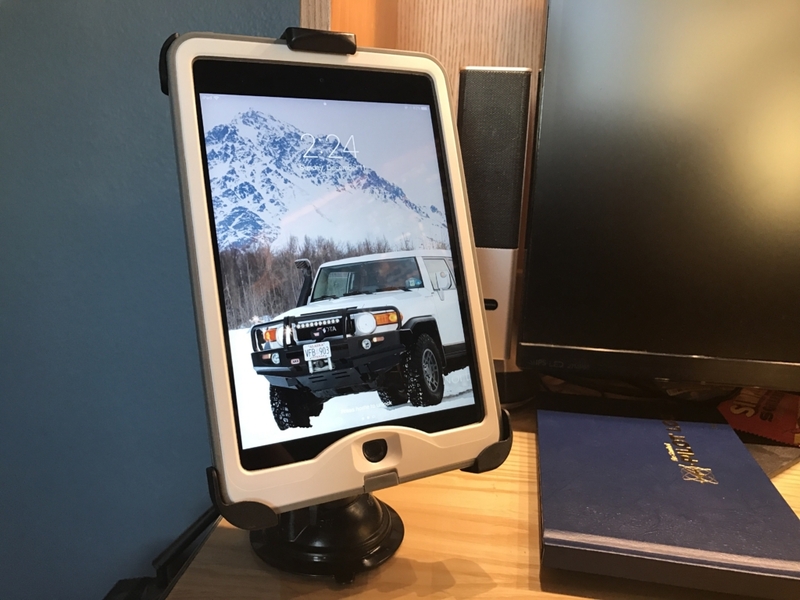 Ram Mounts has other cradle option if you have something other than an iPad or you have a different case. The vast options RAM mounts offer is what makes this a great option for people that use different devices for different occasions. The mounts are built to last and take only a few seconds to remove or adjust. The only tool required is an allen key or hex key if using the Lifeproof cradle. 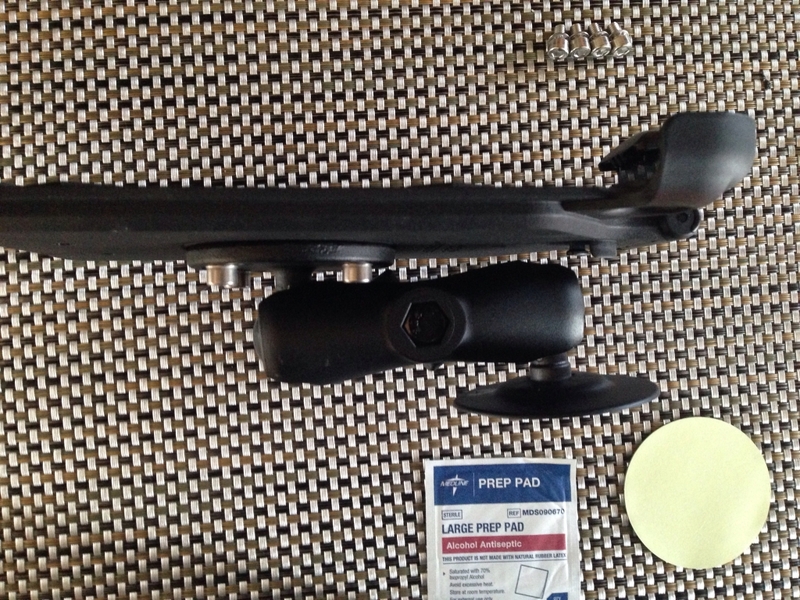 If you go with a RAM Mounts cradle they usually include standard Philips screws for attaching the bracket. The Lifeproof cradle includes the allen key and screws needed to attach the bracket. This is intended to be a guide. Northern Overland takes no responsibility in any damage to your equipment. If you have any questions, comments or recommendations please let us know. This is a real simple assembly but I will still wright out the steps. 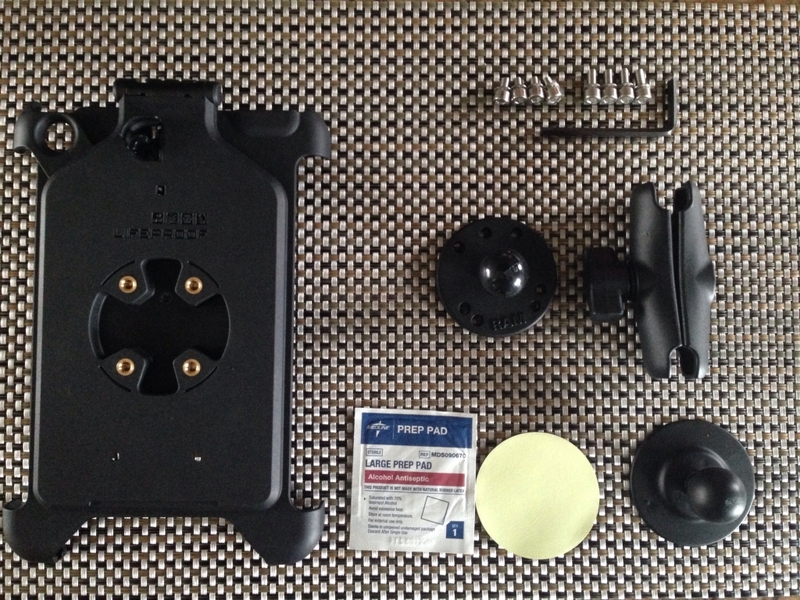 First you need to attach the RAM Mounts RAM-B-202U to the back of the Lifeproof cradle. You do this by securing with the four longer allen head screws provided. The bracket has holes for a couple different mounting solutions but just rotate the bracket till the four holes line up. My bracket lined up so the RAM logo was on the bottom end of the cradle. 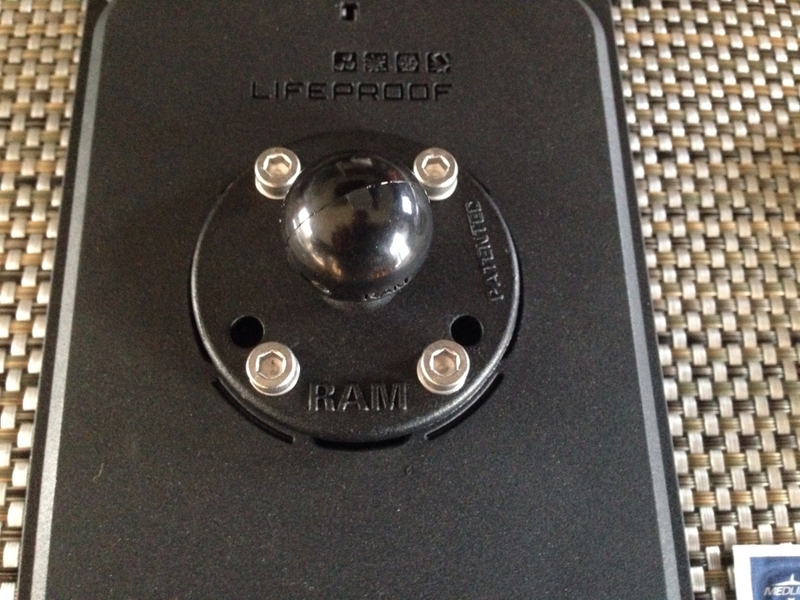 Attach RAM Mounts arm RAM-B-201U by loosening the knob and inserting onto the ball on the back of the cradle. Insert the RAM Mounts base plate RAP-B-378U into the other end of the arm and tighten knob. Last thing is determine where you want to stick your base. The great thing about the RAM mounts is the variaty of mounting options. You can purchase different mounts that include the swivel ball, this lets you switch the cradle between multiple applications. I use the suction cub base for my glass top desk. I also use my iPad for flying, RAM also sells multiple mounting bases for aircraft as well.